With July's summer buzz fever in full rage, there were 3 main constants that we had to contend with all week long. 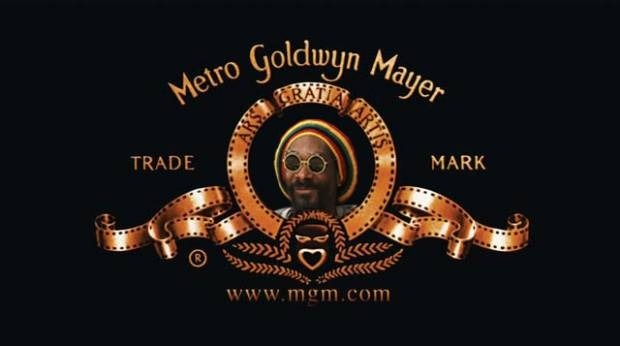 First off, the artist formerly known as Snoop Dogg will now and forever more be legally recognized as Snoop Lion. Second, Passion Pit and their copy cats have been hogging some serious bandwidth and third, Chick-Fil-A and their campaign of intolerance made the chain a household name to the rest of us that just wanted to think of it as some anachronism name dropped by Ben Folds in that “Army” song. But whatever, here is what made our week rad in no particular order. Join Golden Retriever as they head into the thick of the Columbia Gorge in the video for “Canopy” directed by Jeff Guay while the sound weaves a blanketing web around your mind. Look for Golden Retriever's Occupied With The Unspoken out now from Thrill Jockey. The Sonic Boom co-produced track of TEEN's infectious “Electric” got a video treatment from Sam Fleischner and Megha Barnabas. Get heady and ready as their album In Limbo is on the way August 28 from Carpark Records. Seattle producer Joey Butler is Kid Smpl and his upcoming Escape Pod EP drops this Tuesday August 7, but first some psyched out yet subtle visions from Altrack Productions involving flowing motions of water in ways you have never seen waterfalls and rivers move. You will soon see. Substantial released “Check My Resume” with production from the one and only Oddisee. From the upcoming album Home Is Where The Art Is, in stores September 4th: CD pre-order available here and the vinyl can be pre-ordered here. We got more production from Oddissee with his work on Homeboy Sandman's debut album First Of A Living Breed slated for release September 18 from Stones Throw Records. Sandman breaks down situations of love, desire, expectations, relationships, politics, and opinions that read like NYTimes editorials like on today's featured cut “Whatchu Want From Me” with Oddissee keeping the beat piano-driven and timeless. Music videos are in the works while you can find Homeboy Sandman on tour with Brother Ali from September through October. In our ongoing coverage of Lefse's 7″ series, we bring you a listen to Mister Lies upcoming “Dionysian” in full decadent slowed pitch vocal keyboard electro electro-locution. The single drops October 2, pre-order here or collect them all here. Ugly Winner are making the fabled way to San Jose cool again as they reveal their perfect single “Perfect Nothing” from their new LP Inside Your Wave available now from 20 Sided Records. The 'Winners craft the sound of California garage pop dream echo trails with monstrous squalls of guitar that are sounds that make anyone want to take up the instruments, occupy the rec rooms of various tolerant neighbors scheduled at different times in order to keep the welcome polite. Catch guitarist and front vocalist Takashi Makino, bassist Todd Flanagan, drummer Nick Lopez and guitarist Maxwell Brokenhagen as they travel about the west coast on tour this week with dates posted here. Then Frankie Rose teamed up with Urban Outfitters for the video of “Know Me” with all the treatments and trimmings of visuals from the era of the new romantic/young indie school of aesthetic composition. Kilo Kish dropped her new track “Watergun” that she made with The Internet (Syd the Kid) fresh off her Tumblr. Catch Kish with OFWGKTA's The Internet on their August East Coast tour dates this week with a two gig engagement showing support for SBTRKT in NYC and LA. New York's producer/DJ figure Michna is dropping his first release in about four years with the Magic Mountains EP, this September 18 on Ghostly International. Given our first listen to the single “Wanted Exotic”, he is doing some delicate elaborations that turn the sequence into what one imagines to be programming that turn the lights of the city into a giant spectrum equalizer. Sean Ragon and his Cult of Youth got an album and a tour in the works and were nice enought to drop by “Garden of Delights” rage into the curtain tearing mantra of “…our love will prevail!” From his record store studio, Ragon plays no less than five different instruments along with engineering and mixing the album according as only he could deem fit. Cult of Youth's Love Will Prevail drops September 4 from Sacred Bones. Also from Sacred Bones, look out for the Eraserhead deluxe soundtrack being released on a limited edition vinyl release of 1500 August 7. WHY? gives you a behind the scenes access pass to look at the album cover shoot their upcoming Mumps LP, coming October 8 from Anticon in North America and City Slang in Europe. Natural Child have released their new 7-inch from Jeffery Drag Records and we are giving you their sludge and slug fest “Hey, Hey, My, My” tribute “Mother Nature's Daughter” that you have to hear for yourself to believe. With these dudes around, who the hell needs nostalgic music? They can deliver it on demand. Also, is that a 13th Floor-esque aluminum jug effect I am hearing in the background? Dark Time Sunshine released the Stephan Gray directed, laundry airing video for “Never Cry Wolf” featuring Reva DeVito keeping the celebration going for last week's release of ANX from Circle into Square. You can catch DTS on tour with Aesop Rock now through September. And if you haven't heard, Animal Collective get organ heavy on “Today's Supernatural,” the first buzzer from the new album Centipede Hz out September 3 / 4 from Domino. Pre-order here post-Merriweather Post Pavillion believers. Poolside remixed Matthew Dear's “Her Fantasy” with a whole bunch of these keyboards that I recall haunting me from that “Crystal Lake” track from back in the day. Keep on the look out, and watch the trailer as Mr. Dear's Beams is out now with Matthew doing on the DJ circuit in the coming months. Seapony revealed their new single “Prove to Me” with all the twee earnestness that might inspire some to translate every one of their diary tracts pertaining to relationship dichotomies into indie gold. Look for Seapony's new album Falling September 11 from your friends at Hardly Art. With a collaborative album in the works with Daman Albarn and Doom, The Child of Lov gave us the single “Rotisserie” full of an everything-and-the-kitchen-sink approach to chicken-coop-pop. Mount Eerie presents the self-made video for “The Place Lives” from Clear Moon, with a national tour in effect this fall. Window Twins gave us the single “Two Left Feet” featuring the talented powerhouses of Tim Cohen and Jon Bernson providing a song revolving around the best excuse reserved for dancehall wallflowers. The 'Twins, Tim and Jon, are fixing their sophomore album Wish, coming out October 16 on LP from Volar Records and cassette from Crash Symbols. Pyramid Vritra ft. Frisco released “Drain” from the album PYRAMID, coming August 7, and today we bring you a video directed by Stella Kae. Catch a glimpse of the Golf Wang burning down a couch in the middle of the road while going absolutely mental. This will be Pyramid Vritra first full length album that is the combined efforts of Hal Williams of NRK (Nobody Really Cares), and the jet set wing of OF, Jet Age Of Tomorrow along with The Super 3. Get ready for appearances from the likes of fellow LA dude to know Speak!, the legendary Gary Wilson (GWWKTA-WTF? ), Syd tha Kyd, Matt Martian, KC 2.0, and NRK's Andre McCloud over 13 tracks recorded between 2010-now. Laetitia Sadier's “The Rule of the Game” jumps into the swimming pool in this soft-focus vintage looking video from Marie Merlet. Laetita's solo album Silencio is out now from Drag City. Shout Out Out Out Out released the Lyle Bell & aAron munson directed video for “Now That I've Given Up Hope, I Feel Much Better” where the band turns the art of falling of a chair into a slow motion kaleidoscopic sport. Their album Spanish Moss & Total Loss is out now. Get up, get mean, feel sinister and grab a listen to the upcoming Psychic Ills 7″ “Take Me With You” with a video from Robert Beatty and Coleman Guyon. Liverpool trio Stealing Sheep released the craft-day psychotropic video for their new single ''Genevieve”.Following up their recent single “Shut Eye“, the upcoming Genevieve 7″ comes out on limited edition vinyl August 13 from Heavenly Records / Cooperative Music while the long-awaited debut record Into The Diamond Sun will be available September 4 on CD, digital download and limited edition glitter vinyl to match their sequin psych splendor bliss pop of the following sound and film visuals. When purchased from an independent retailer, look out for the supplementary The Melting Mountain Mix CD featuring the band's listening materials played around the time of recording. Pre-order here, listen and watch now. You might know Chris Cohen from playing with Ariel Pink's Haunted Graffiti, Cass McCombs, Deerhoof, Curtains, and more, but you haven't heard his new solo cut “Optimist High”. Get ready for an arrangement to re-arrange your weekend attitude with the outlook looking pretty, pretty good. Chris Cohen's debut LP drops September 25 from Captured Tracks. Oakland producer, Shortcircles released his self-titled EP for free from Plug Research. Get in now on the 5 song EP that features talents from the likes of Miss Tia of Parentz, Tiana Vallan and a remix from Glenn Jackson. Support the Bay, look for Shortcircles' EP on iTunes now and get ready for the full length coming soon. Also get your first listen to Willits + Sakamoto's album Anicent Future available now from Ghostly International and streaming here in it's gorgeous, ambient entirety. After Seatraffic's record release show brought the house down at Project One last night with supporting DJ sets from Boyfren, Yr Skull, Shaky Premise, the Epicsause DJ crew; both Brandon and Mark want to make sure we brought you the Yalls remix of “Put Away” to celebrate the release of their Crimes 7″. Keep your ears peeled for more remixes of Seatraffic, as Boyfren debuted his own take on “Put Away” that you have to buy the 7-inch to hear, believe, and at least begin to understand. Broken Social Scene's Jason Collett has a 2-disc album Reckon coming this September 25 from Arts & Crafts. With production by Howie Beck, the guestlist includes but is not limited to Afie Jurvanen of Bahamas, Basia Bulat, Kevin Drew & Zeus. It's being released with the disc Essential Cuts of B-sides and favorites with Stars' Amy Millan, Zeus, Feist, Metric's Emily Haines, Bahamas, etc. We got the new Modern Rivals' single “Clocks vs Darts” off of their Sea Legs EP. Recorded and produced by the band from Big Foote Music in New York, NY, Chris Coady lending mixing duties from Carriage House Studios in Stamford, CT with Joe LaPorta handling the mastering from The Lodge. Hear for yourself an inner musical rivalry of rich, dream pop tapestries ready for summer lawn festival picnics. King Dude is back with a track you cannot ignore called “Jesus in the Courtyard.” Get ready for the Dude's Burning Daylight October 16 from Dais. We think we are, but after hearing this I'm not so sure. A little afraid, but excited all the same. Really excited for this one. Teengirl Fantasy's “EFX” featuring Kelela came out this week to help with the post Tracer release from True Panther Sounds/R&S and to give your weekend that needed extra electro lounge chill. Lighting up the charts and hearts is Portland, Oregon's BRAINSTORM with their single “Beast in the Sky.” Meet Adam Baz,Patrick Phillips and Tamara Barnes who have set them selves apart from their fellow AU, Stephen Malkmus, Nurses, Lovers Miracles Club, YACHT, etc contemporaries with a sound that explores West African approaches to music the emergence of a new Bubu gang emerging from the Pacific Northwest. Catch their upcoming PDX gigs like August 6 at the MusicFest Northwest Show at Holocene with TANLINES, August 8 at the Oregon Public Broadcasting Showcase live at Mississippi Studios and August 10 at the Time Based Arts Festival curated by BRAINSTORM featuring Iftin, Jason Urick, and a live Skpe performances of Western African music. Naytronix, or Nate Brenner of tUnE-YaRdS & Beep, released this mix for Plug Research podcast series. Come for the classics on this compilation but stay for the Mwahaha remix of “Labyrinth Snacks” from Brenner's Beep. The Naytronix album Dirty Glow drops October 9 from Plug Research Music. And we have the Naytronix video for “Robotic”, too. Let Nate give you an all access ticket to the summertime Bay complete with a stroll across the Golden Gate. Mr. Chasney and Six Organs of Admittance are going full electric as a band, as the great rising of Ascent is coming August 21 from Drag City. Get into the shreddiness with “One Thousand Birds” grinding like one thousand electric axes. Keeping the party moving, Blizzardo's debut EP Challenger will be be released via OurLabel International and you can get it now from Beatport and everywhere else August 7. Get down to the ambient house territories of “You Don't Know Jack” which somehow brings to mind that cranium-stumping voluminous computer game ubiquitous of the '90s Pentium PC dawning and the music made by those life-altering machines. Mexican Summer brings you this behind-the-scenes look at the making of SF's local one and onlys, The Fresh & Onlys working on their upcoming album Long Slow Dance, coming out September 4 on Mexican Summer in the US/Canada and September 3 from Soulterrain Transmissions in UK/Europe. Seattle's Unnatural Helpers released the following old school red and blue dual picture 3-D album teaser by Patrick Wright for their forthcoming album Land Grab due September 25 from Hardly Art. Kill Rock Stars is celebrating the life and work of Elliott Smith in a big and beautiful way. On the day that would mark Elliott's 43rd birthday on August 6, KRS will offer An Introduction… for $4.99 all day long to encourage folks that missed the talents of Mr. Smith the first time around. But that's not all; presents will be given out to all who order that day and throughout the month of August fans can purchase Elliott's entire KRS catalog in a lossless digital file format whith news that Either/Or and Elliott Smith's self-titled seeing their first ever release on 180-gram wax. And from now through the rest of the year, any KRS catalog purchase will result in a coupon good for 10% anything Elliott. We still miss you, dear friend.